Art Gallery Cards: Classic Cars and Beautiful Tea Pots! It has been quite a week but, hey, it's Saturday and we've survived. What doesn't kill you makes you stronger so!! !...some of us should be feeling pretty strong at this point! In spite of a few trials and tribulations (And I do NOT mean to whine!) Every person that came to classes last week left with two really fabulous cards. 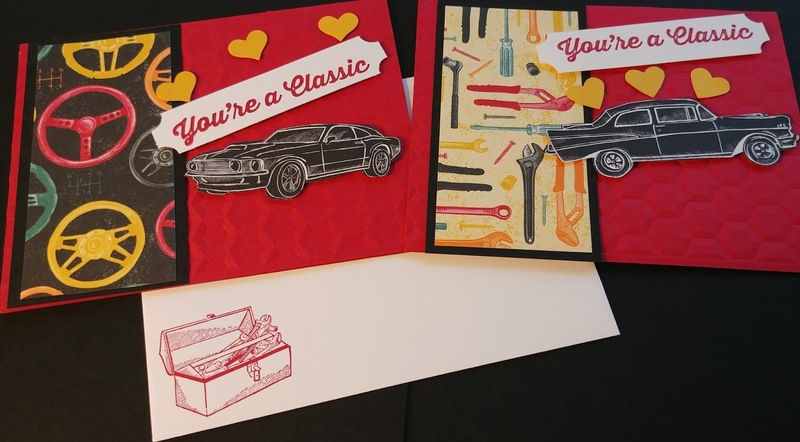 The classic cars card was stamped inside as either a valentine or birthday card. The Tea Pot card gave us a chance to water color with ink from the lid of the stamp pad and a Blender Pen. So pretty! And yes! 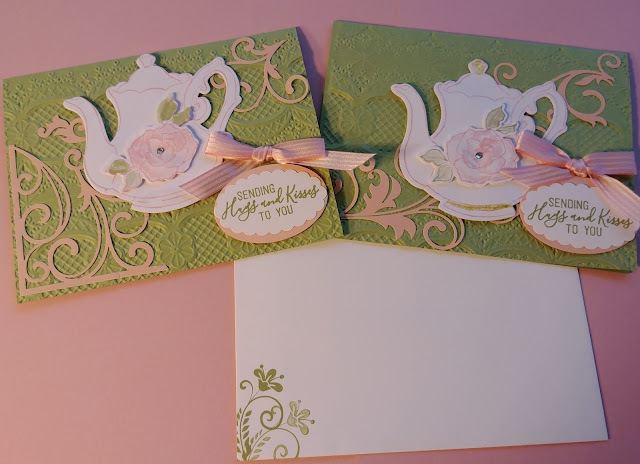 I canNOT get enough of the Lace Dynamic Textured Embossing Folder. It creates really stunningly beautiful backgrounds. the word to send to me for a fun stampin' item is dynamic. (Kathy P. saw this first and gets a fun stampin' prize! Thank you, Kathy!!) Here are our cards!